Het fraaie 3-kamerappartement op de vijfde en zesde verdieping met prachtig vrij uitzicht ligt zeer centraal binnen Den Haag in de wijk Regentesse-Zuid. Een gewilde buurt door de aantrekkelijk ligging direct naast de Haagse binnenstad met alle faciliteiten in de nabije omgeving. Het monumentale karakter van de wijk met een aantrekkelijke mix van wonen, werken en recreëren maken de locatie uniek. De Grote Markt bevindt zich op loopafstand en de gezellige pleinen zoals het Regentesseplein en de Prins Hendrikplein bieden een compleet aanbod als het gaat om dagelijkse voorzieningen en horeca. 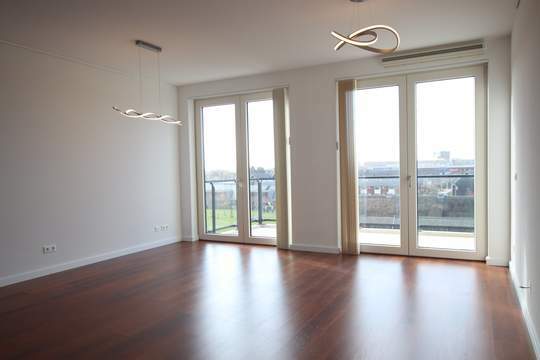 This beautiful two bedroom apartment on the fifth and sixth floor with a beautiful and free view is situated very centrally in The Hague in the Regentesse-Zuid area. 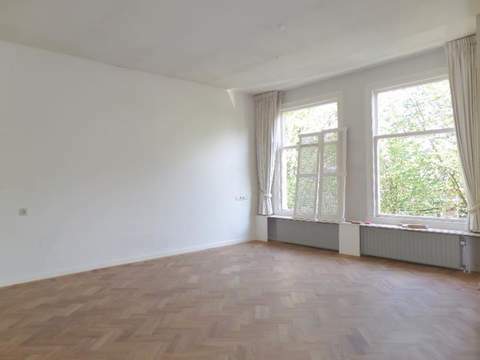 A very popular neighbourhood thanks tot he attractive position next tot he The Hague city centre wit hall of its amenities in the direct vicinity. The classic character of the area with an attractive mix of living, working and relaxing make this area very unique. The Grote Markt is just a little walk away and other squares, such as the Regentesseplein and the Prins Hendrikplein offer a complete collection of daily amenities and restaurants and bars. Closed common entrance, where you reach the 5th floor via the lift. In the hall you can find the meters, toilet and a storage closet with connection fort he washing machine. 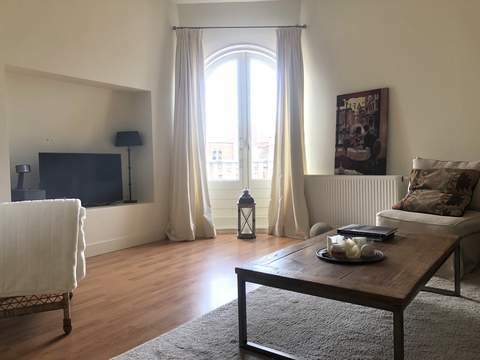 On this floor are also the two spacious and light living rooms, but also the bathroom with shower, (corner) lie-down bath and sink. The internat stairs bring you to the second living floor with the boiler for the central heating in the hallway. From the hallway, you can enter the spacious living room with amazing view and access tot he balcony via the outward opening doors. The semi open kitchen has a combi microwave, a 4 hob ceramic cooking top and dishwasher. In the substructure, there is also a storage space and it’s own parking spot in the garage.